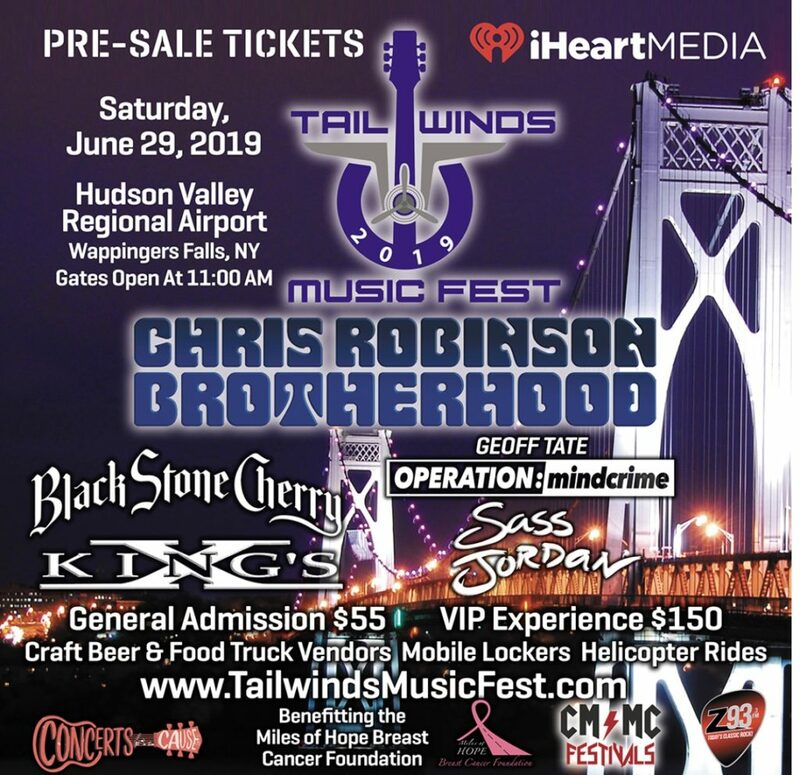 Wappingers Falls, NY | What is certain to be one of the top rock performances of the summer has been announced, with the 2019 edition of the Tail Winds Music Fest. The all-day performance will be held on Saturday, June 29th at The Hudson Valley Regional Airport, in Wappingers Falls, New York (gates open at 11:00am). Headlining the show is Chris Robinson Brotherhood, with additional sets by the likes of Black Stone Cherry, Geoff Tate’s Operation: Mindcrime, King’s X, and Sass Jordan.